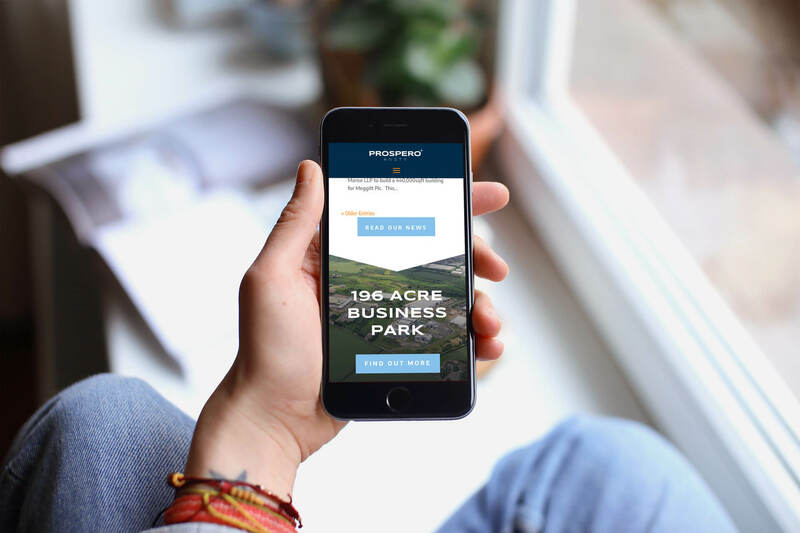 As part of our exciting work with property developers throughout 2018, Identity Creative were tasked with the creation of a refreshed website and brochure design for Prospero Ansty, a 196-acre business park based outside of Coventry. 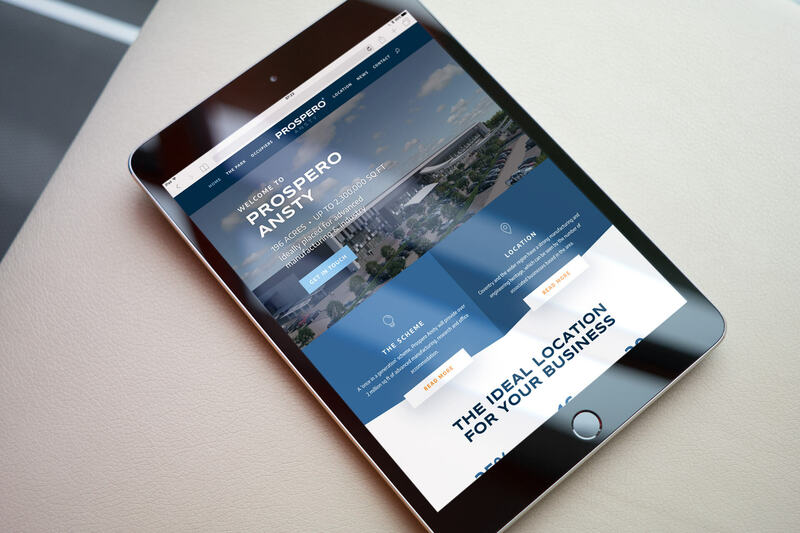 Prospero Ansty is situated in an excellent location close to Birmingham, with access to a wide range of amenities for their many clients. 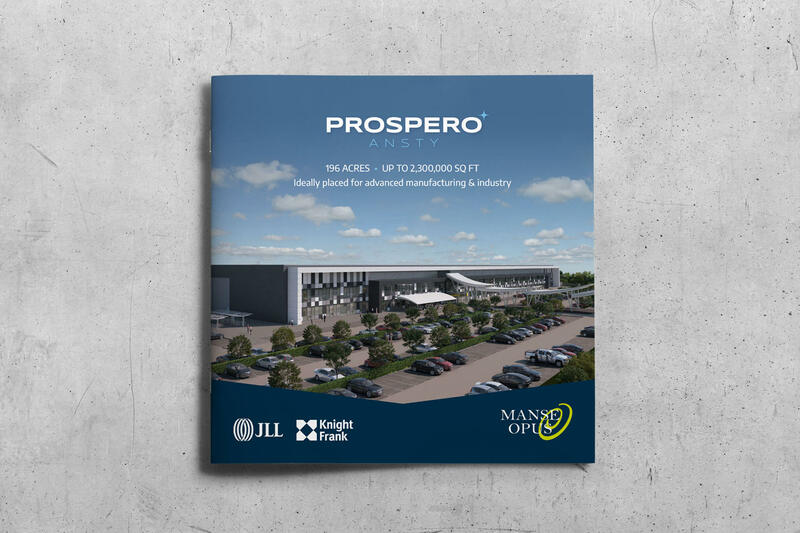 With occupiers including MTC, Meggitt PLC & Rolls-Royce, combined with a highly skilled local work force and the ability to develop up to 600,000 sq ft in a single building, Prospero Ansty offers a unique environment for businesses seeking to take the next step. 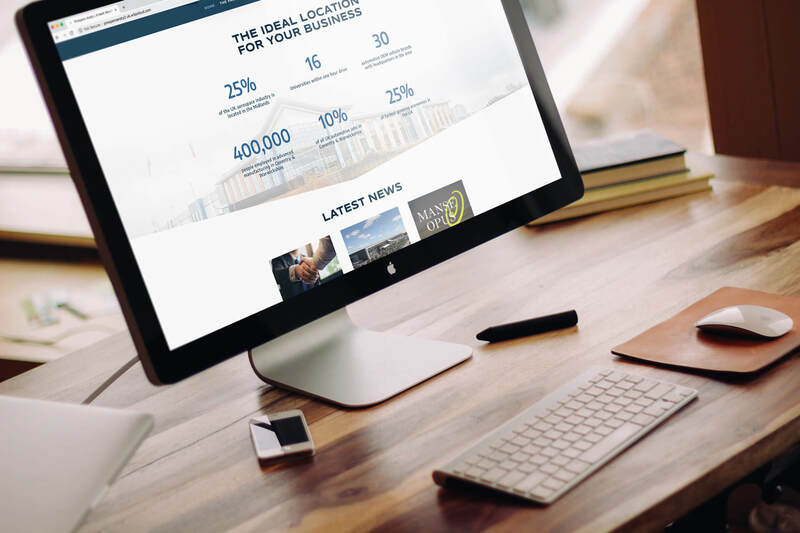 The new website features a memorable visual style including interactive map elements, strong imagery and a consistent visual theme throughout to create a dynamic and user friendly site. For more on Prospero Ansty, visit www.prosperoansty.co.uk.